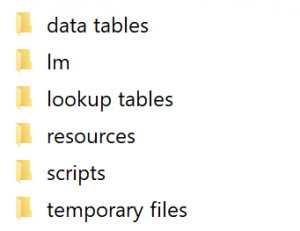 From the JMP menu system select View>Add-Ins…. 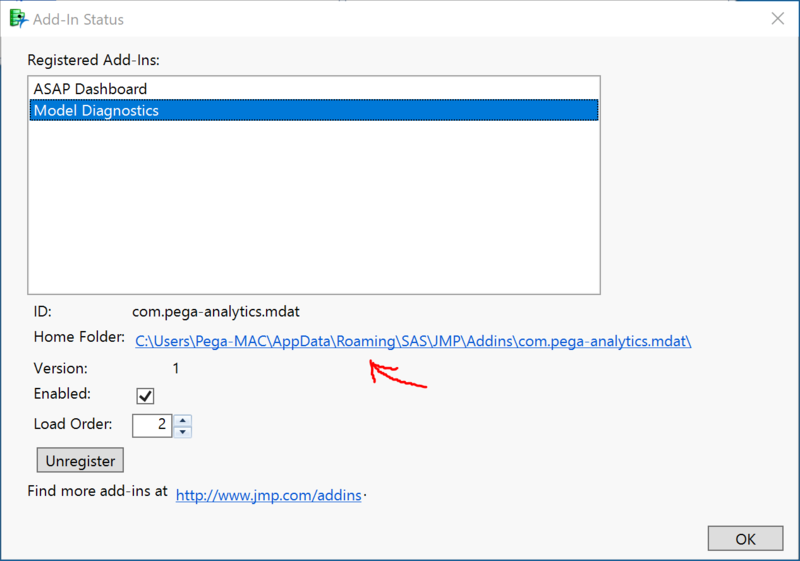 From here you are presented with a list of add-ins that have been registered for your installation of JMP. Select the add-in that you are interested in. Below the list you will see a link for the home folder. Clicking on this link will open the folder for the selected add-in. The contents of the home window will be specific the the add-in. The folder may just contain a single script file, or may contain a more elaborate file structure.